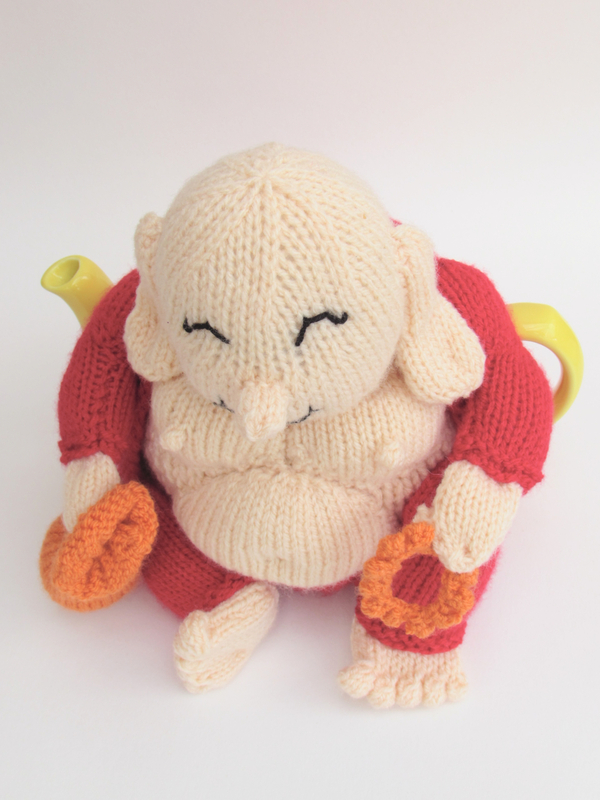 The happy buddha tea cosy is a jolly little chap who has found enlightenment and has woken up to reali-tea. 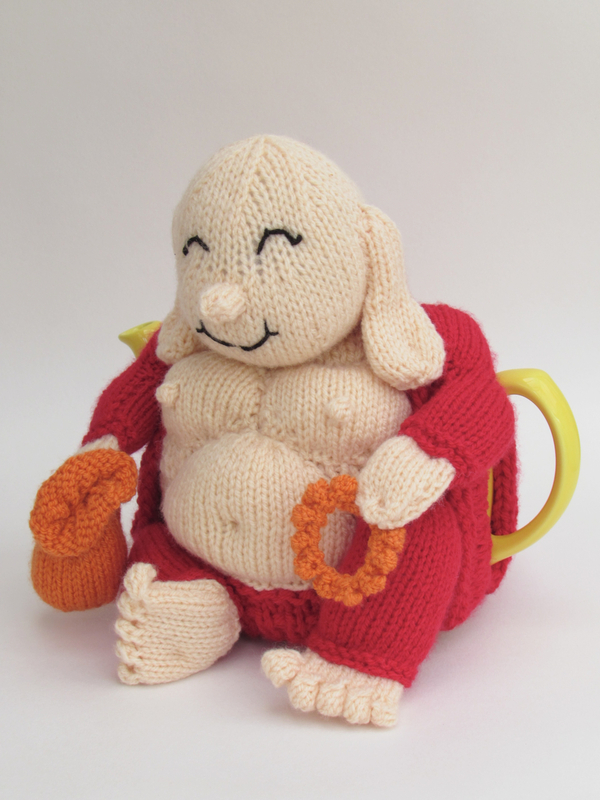 The happy and laughing Buddha makes a great tea cosy because he makes you smile. 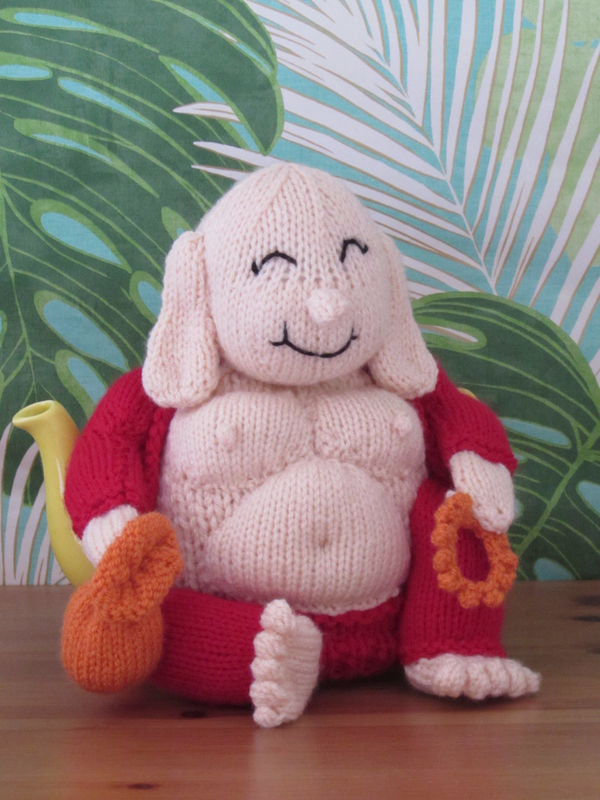 He has a chubby body that his red robe exposes. 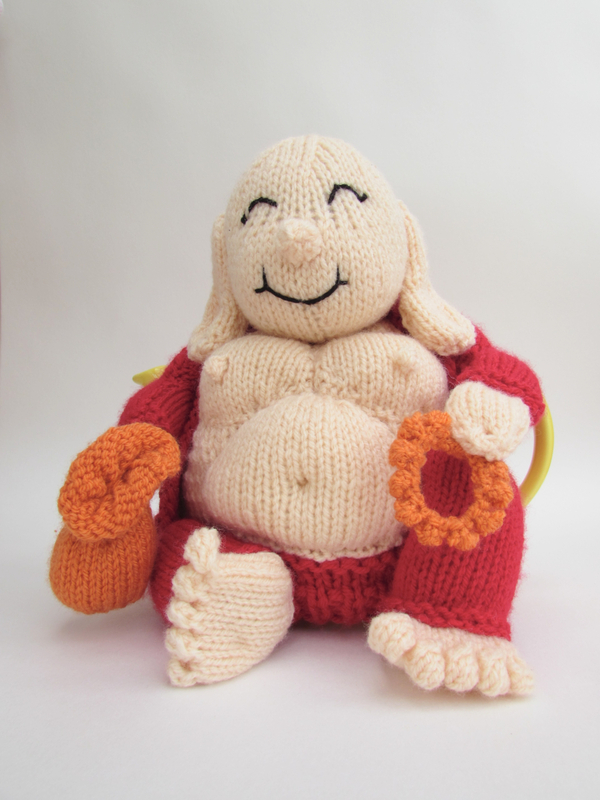 He has a happy smiling face with chubby cheeks. 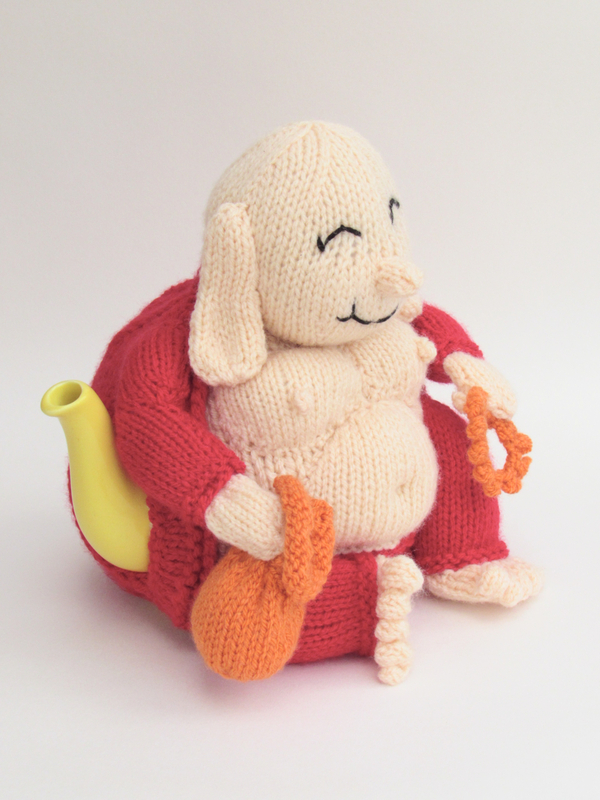 He has elongated ear lobes, a sack and prayer beads that symbolise pearls of wisdom. 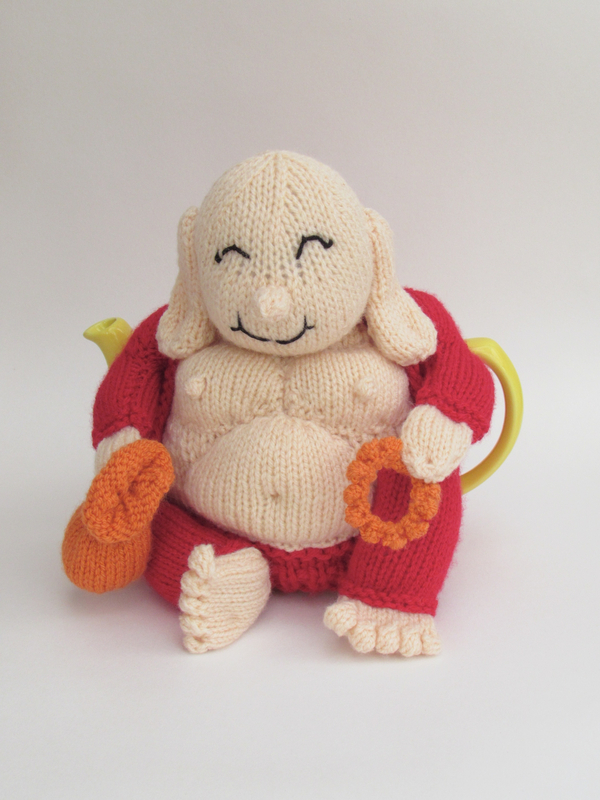 A sitting Buddha represents love and it symbolizes balance of thoughts and tranquillity, which is what most of us do when we sit down to a cup of tea. 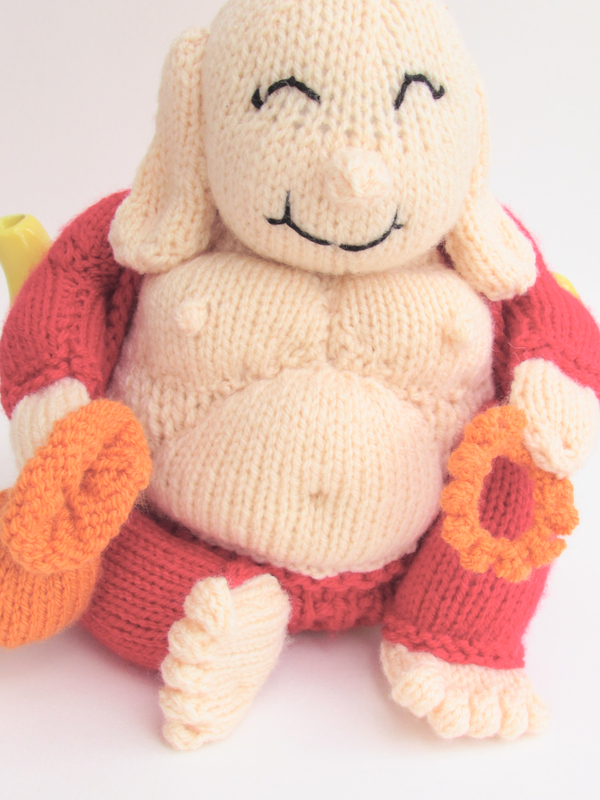 What I love about him is his podgy bits, his face and his toes. 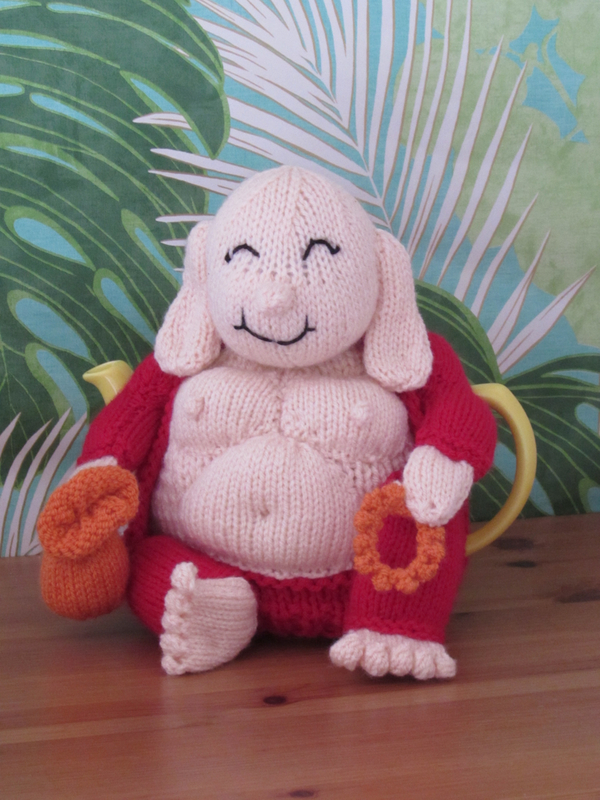 He’s so characterful and a delight to knit. 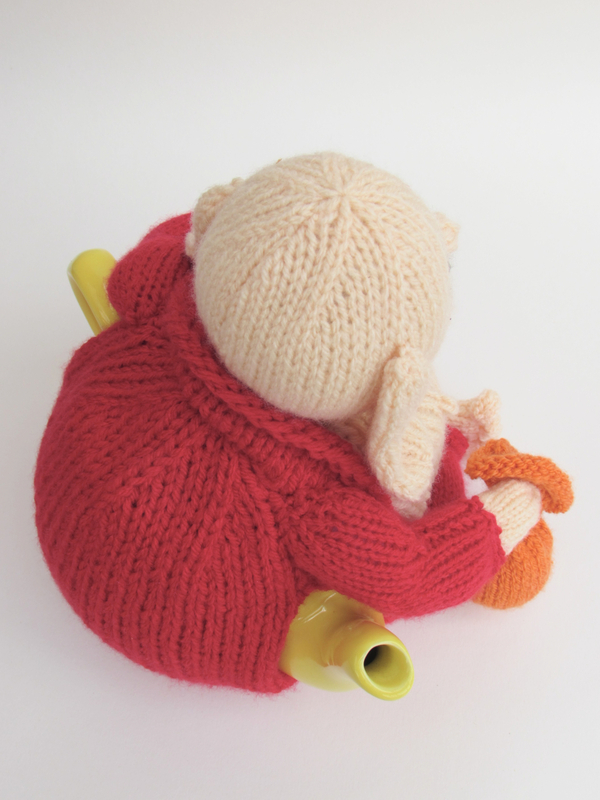 The colour pallet is only three colours and a small amount of black dk for the face features, so he is easy on the eye and calming. 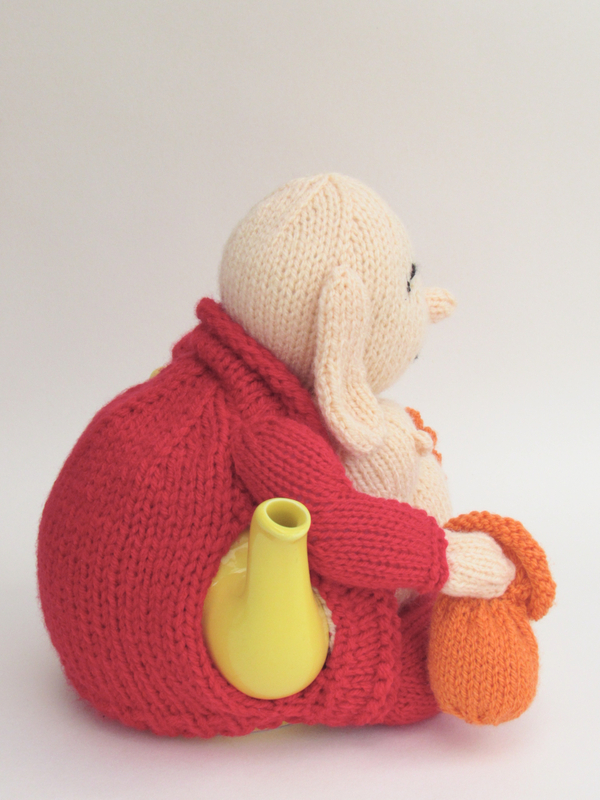 Taking a happy buddha into your home is thought to bring contentment and serenity. 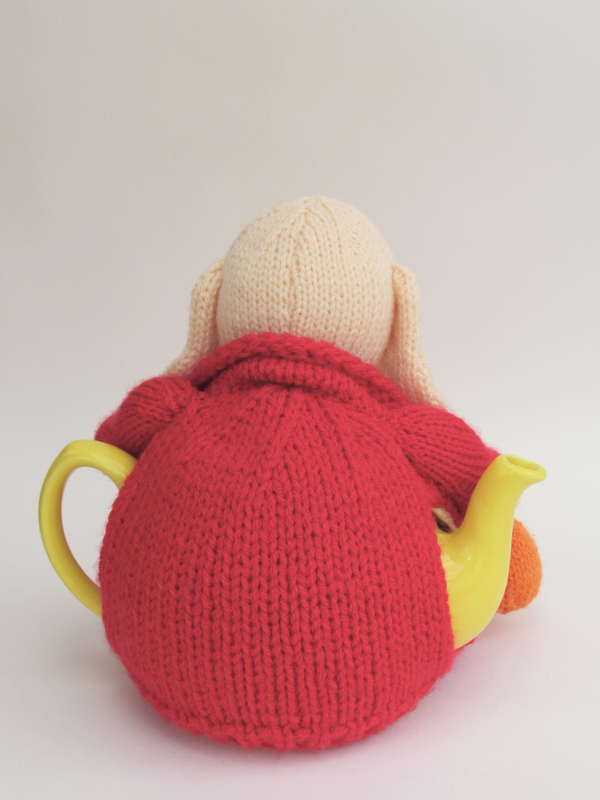 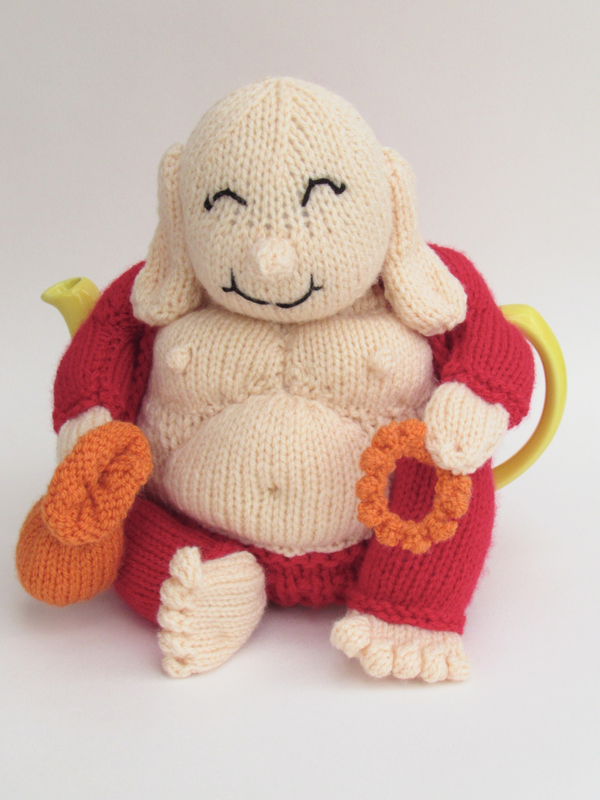 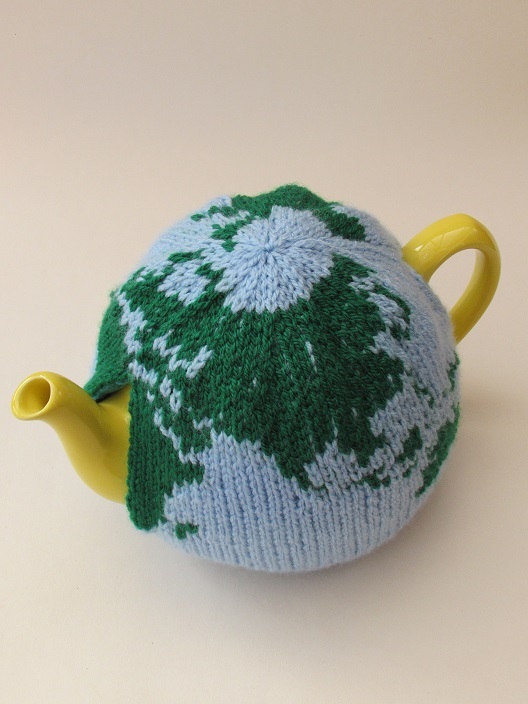 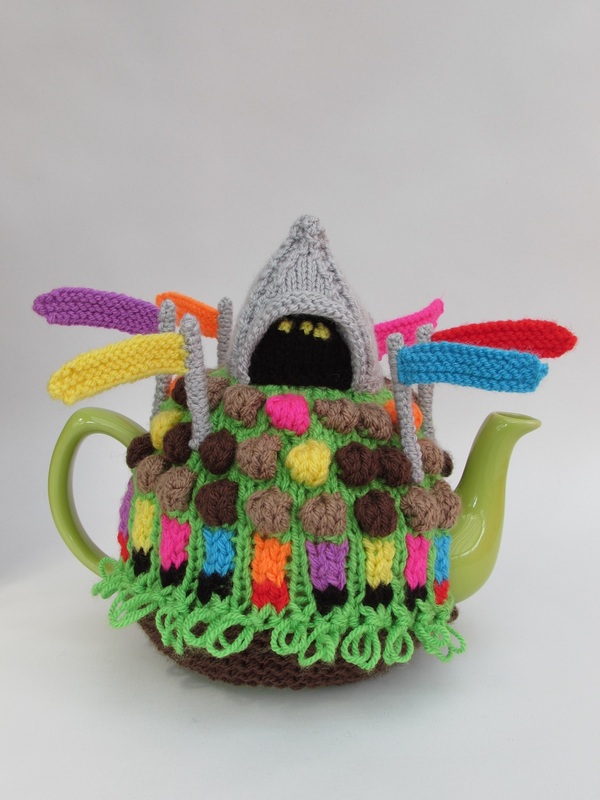 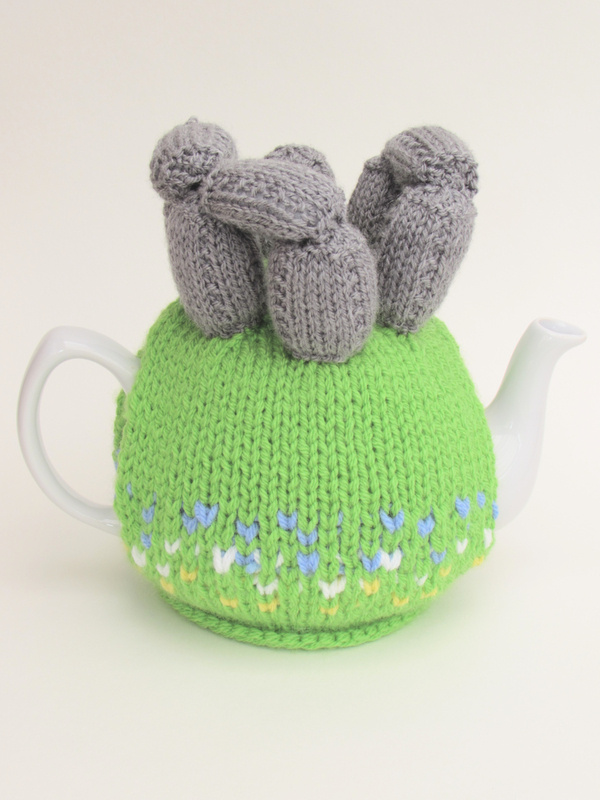 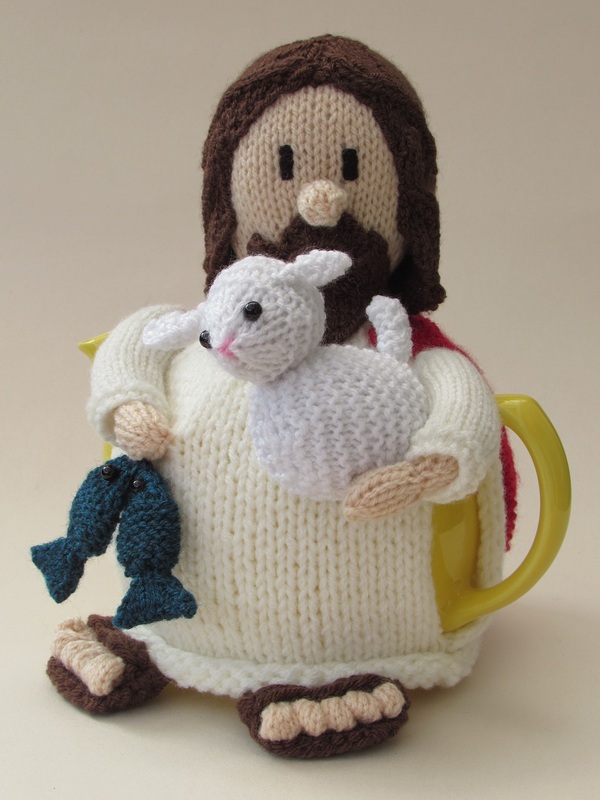 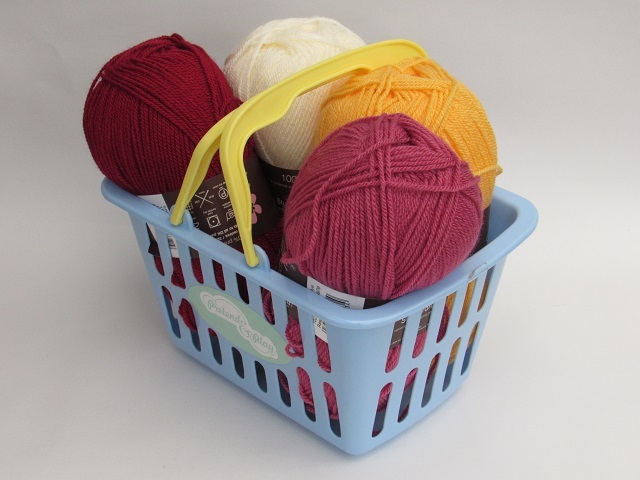 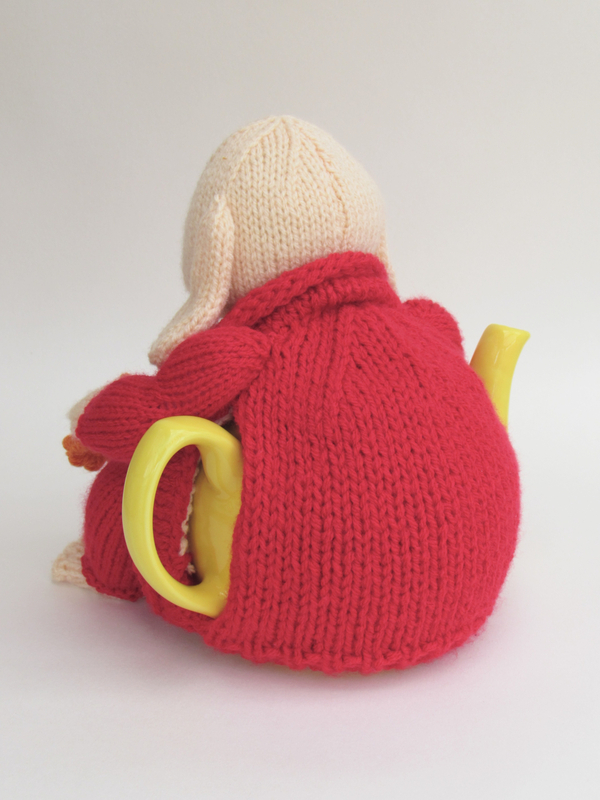 With all the good luck and fortune that Buddha bring and he keeps your tea hot, I think he’s a must knit for everyone!